Ready for your students to put their leadership learning into action? Well, you have come to the right place! 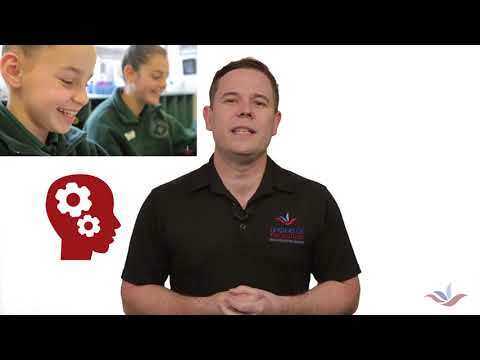 Welcome to Young Leaders in Schools – Advanced e-learning course. The Advanced course is all about challenging students to perform as leaders and apply their knowledge for the betterment of the school community they serve. In this course students will tackle concepts that include teamwork, developing self-awareness, communication and even starting a mentor relationship. That’s not all, but let’s not give everything away just yet – that would spoil the learning adventure! This course is designed to provide students with the areas of learning they need to be effective student leaders. The Advanced course is focused on challenging students to put learning into action and providing a platform to demonstrate leadership both in and outside of their school community. Throughout the course students will be prompted to complete various thinking tasks that include quizzes to test knowledge, self-assessments to provide a framework for individual growth and broader tasks such as project delivery and developing a mentor relationship. Teachers are supplied with every resource they need to support students learning and guide them through the Success Criteria continuum. By the end of this course students will be well aware of the 4 C's of Effective Student Leadership (Competence, Confidence, Character, Connectedness) and how they can leverage these traits in all areas of their lives. This course is designed to provide students with the areas of learning they need to be effective student leaders. The Advanced course is focused on challenging students to put learning into action and providing a platform to demonstrate leadership both in and outside of their school community. Throughout the course students will be prompted to complete various thinking tasks that include quizzes to test knowledge, self-assessments to provide a framework for individual growth and broader tasks such as project delivery and developing a mentor relationship. Teachers are supplied with every resource they need to support students learning and guide them through the Success Criteria continuum. By the end of this course students will be well aware of the 4 C’s of Effective Student Leadership (Competence, Confidence, Character, Connectedness) and how they can leverage these traits in all areas of their lives. This course has been designed specifically for young athletes with the aim of inspiring improved leadership on the field of play in their chosen sport. This course is the perfect addition for your school's athlete development program, regional and metro sports academies or even local clubs. The course will raise young athletes awareness of themselves and their leadership capacity, whilst challenging them to put theoretical concepts into action within their sporting environments. With the help of teachers or coaches young athletes will also be prompted to reflect on their performance, celebrate their successes and identify areas they wish to improve. This course is designed to assist all teachers who oversee the Young Leaders in Sport e-learning course to plan and deliver an effective and engaging program in their schools. The course contains instructional videos and the resources to enhance the leadership learning experience of students and the facilitation experience of teachers. By the end of this short course you will be feeling empowered to deliver an engaging program with your students and will have access to all of the tools necessary to achieve success.